Who said light switches had to be boring? Not us, that’s for sure! If you love the warm autumnal tones of distressed copper, then this is the double dimmer for you. This gorgeous switch will bring instant super-cool vibes to any room. 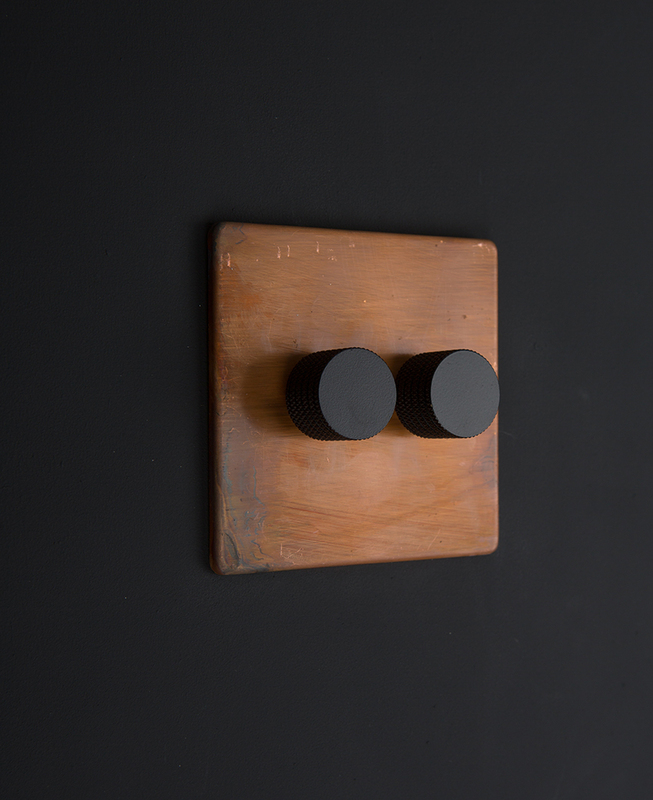 Our exclusive designer copper double dimmer switch is just that – totally exclusive to us. 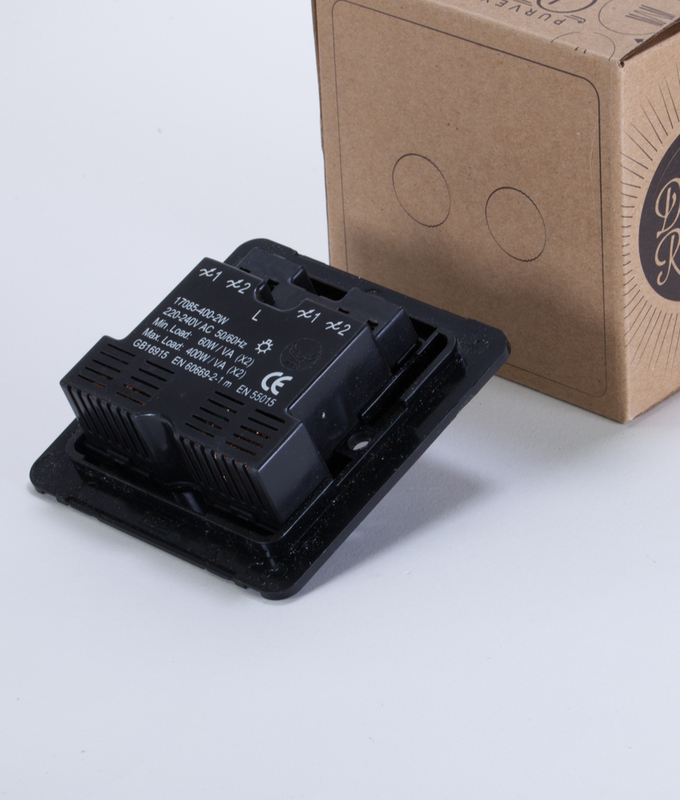 Once upon a time, the D&R team decided to go on a hunt for the perfect copper dimmer switch. We quickly discovered that it didn’t actually exist, so we set about designing the perfect one, and ta-dah, we’ve only gone and done it… With knobs on! These days, dimmers are an absolute essential in any home, helping you to create the perfect ambiance for all occasions. And this is an absolute cracker of a switch – it does its job perfectly whilst looking totally cool at the same time. Let’s talk about the colours of these plates as they’re simply stunning. Rich shades of autumnal oranges and browns, and then POW, you might get a little shot of violet and purple. 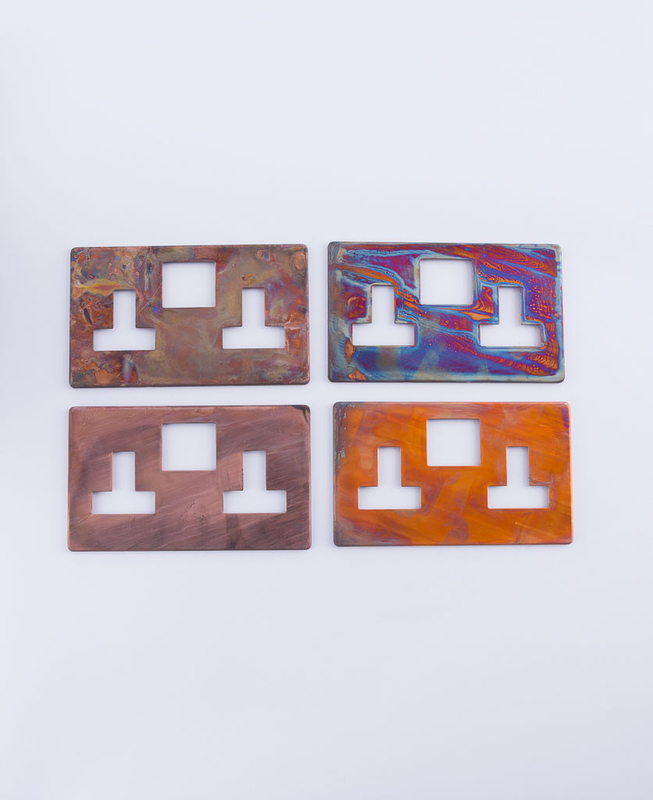 This is distressed copper so it’s worth noting that each one is unique and will differ slightly from our images. This is the beauty of this type of finish though – no two are identical so you’re guaranteed to be the only person on the planet with that exact switch. That’s pretty out of this world! We also need to give a little shout out to the gorgeous knurled knobs here too. With a choice of black (our fave), gold, silver and white this gives you the option to tailor your switch to your own tastes, making it even more unique to you. 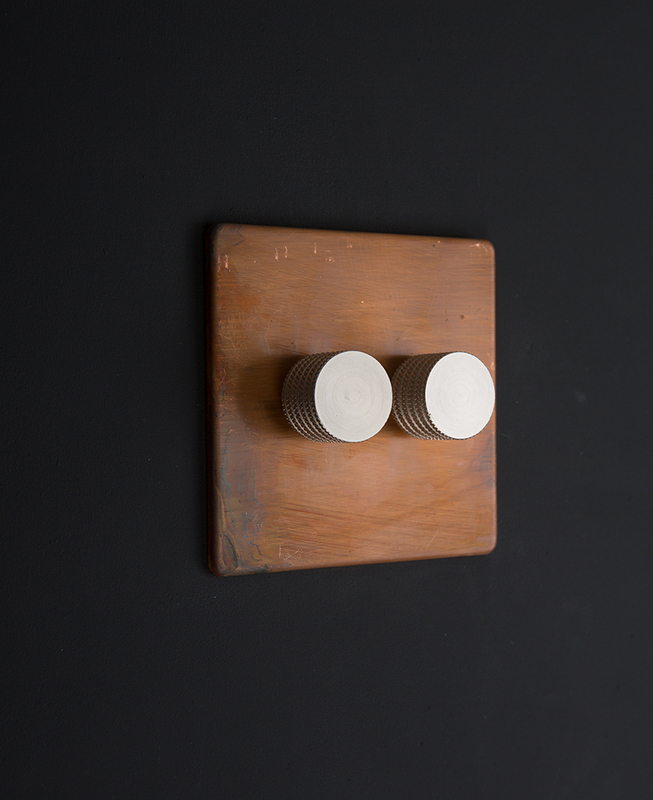 If you love this double dimmer, check out the matching single dimmer switch and our other coordinating copper light switches. If you’re struggling to decide what kind of switch you need… Have a read of our guide light switches explained to find out the difference between 1, 2 & 3 gang plus when to use 1 way, 2 way and intermediate switches.